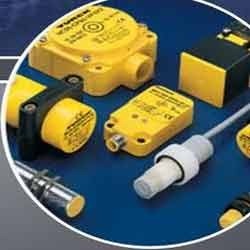 Prominent & Leading Supplier from Vadodara, we offer Turck Industrial Sensor such as Flow Sensor, Draw- Wire Sensor, Weld Nut Sensor, Ultrasonic Sensor, Temperature Sensor, Pressure Sensor and many more items. We are offering Flow Meter In order to guarantee smooth operation and consistent quality, many processes require constant in and outflow of liquid or gaseous. Flow meters measure continuously the volume per time unit relative to the defined pipe cross-section. 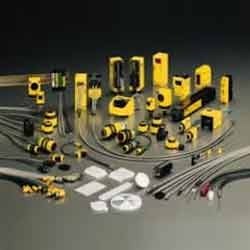 Turck sensors apply different methods for electronic measurement of flow rates, such as the colorimetric, the magnetic-inductive as well as the vortex principle. We are offering Draw Wire Sensor. The portfolio comprises inductive, magnetic-inductive, capacitive, photoelectric, ultrasonic, pressure, temperature and flow sensors. Our standard Photoelectric Sensor use visible or infrared light to detect various kinds of objects. The product portfolio of extremely efficient devices offers the right solution for almost any photoelectric application. 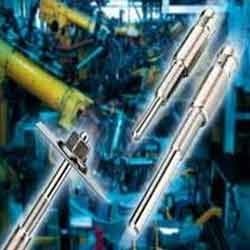 We offer Magnetic Linear Position Sensors with analog and SSI output. The signal strength delivered by the devices is proportional to the position of the positioning element (magnet) and indicates measuring distances of up to 7500 mm. The absolute value encoder saves the position information at voltage failure so that a reference run (homing) is not necessary. 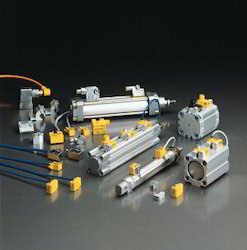 They provide excellent repeatability, resolution and linearity. 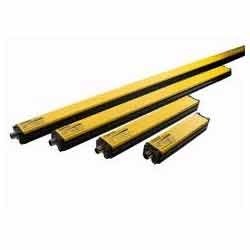 Due to their extremely robust design, they are especially suited for industrial applications. They also excel in high electromagnetic compatibility and a wide temperature range. Ultrasonic Sensor use ultrasonic waves for non-contact and wear-free detection of a large variety of objects. It does not matter whether the object is transparent or opaque, metallic or non-metallic, or of liquid, solid or powdery consistence. Environmental conditions such as spray, dust or rain hardly affect their function. We offer a wide range of Temperature Sensor.The products are used everywhere where temperatures for control and optimization of processes must be detected and monitored. They combine high accuracy and excellent performance with simple and safe mounting and operation. They are flexible to use and easy to program. Typical applications are process-related installations, manufacturing facilities and units, as well as air-conditioning systems. 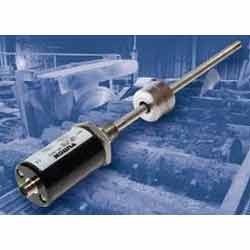 With respect to temperature sensors, various lengths and diameters are available. The temperature sensor can be easily adapted even to critical applications using diverse protective tubing or compression ferrule fittings. This provides maximum flexibility in use. 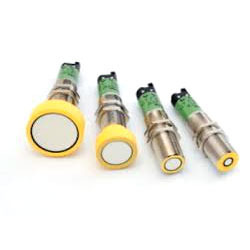 We offer a wide range of Inductive Proximity Sensor.Inductive Proximity sensors are designed for wear-free and non-contact detection of metal objects. For this purpose they use a high-frequency electromagnetic ac field that interacts with the target. 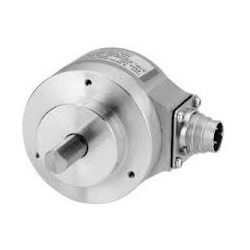 We offer Measurement Encoder.Encoders measure rotation speed, sense, position, angle and length. For this purpose, they convert mechanical motion in electrical signals. TURCK encoders are available in diverse designs, as versions for incremental or absolute position detection, as hollow or solid shafts and in various sizes with diameters from 24 mm to 102 mm. They fulfill different positioning tasks with a resolution of up to 17 bits (absolut encoders) and of up to 36,000 pulses per revolution (incremental encoders). 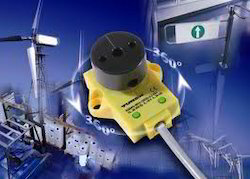 We offer Inductive Angle Sensor. The measuring principle of rotary position sensors is based on oscillation circuit coupling between the transducer and the sensor, whereby an output signal is provided proportional to the angle of the positioning element. Owing to the non-contact principle, the robust sensors are maintenance and wear-free and they excel in terms of optimum repeatability, resolution and linearity within a broad temperature range. Thanks to the innovative technology, electromagnetic interferences have no influence on the measured signal. We are offering Magnetic Sensor. In the automotive industry spacer sleeves and weld nuts are used to assemble elements of the ca rbody. In order to guarantee a smooth and reject free production process, continuous control of these supply parts is necessary. 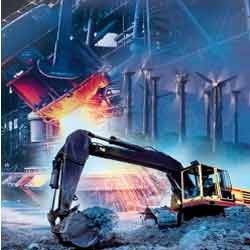 The new magnetic inductive sensors for detection of weld nuts made by TURCK are an economic and process safe solution. Spacer sleeves and weld nuts are used to assemble elements of the car body shell like frames, U shaped carriers and also seats or fuel tanks. If some nuts or sleeves are missing or may not have the required material quality, the automatic assembly process stops and the work piece will be rejected. If these errors are not detected and rejects are produced, costs will increase considerably. Even complete car body shells may not be further assembled if the stabilizing elements are not welded. In order to prevent the increase of production costs, it is necessary to control the supply of parts like weld nuts or spacer sleeves during the assembly process. The magnetic field sensor for weld nuts detects not only metal but it also replaces the location bolt. The sensor works on the basis of attenuation and thus detects ferromagnetic parts like sleeves, nuts and slices etc. It is mounted in a chrome plated brass housing and IP67 protected. LEDs reliably indicate the current switching state (presence/absence of target objects and errors). Flow Sensor are applied in automated manufacturing to detect deviating flow speeds of gases and liquids quickly and reliably. They are not applied to perform precise and costly measurements but to monitor limit values and flow patterns. High repeatability is the most important feature required in this context. 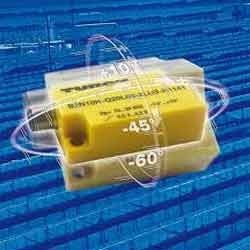 Turck flow sensors are available as compact devices with integrated or separate signal processor. The new Inductive Linear Position Sensor operates on the basis of a completely new, revolutionary measuring principle. The positive features of standard measuring systems have been combined and systematically developed further. The position is not detected via a positioning magnet but via an inductive oscillating circuit. The sensor is thus completely immune to magnetic fields which are generated by large motors for example. We offer devices with lengths between 50 mm and 1000 mm. They are individually adjustable via push button. 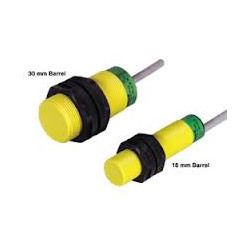 We are offering a wide range of Capacitive Sensor.Capacitive proximity switches are designed for non-contact and wear-free detection of metal (electrically conductive) and non-metal (electrically non-conductive) objects. Magnetic Field Sensor are applied to detect the piston position in pneumatic cylinders. As magnetic fields permeate non-magnetizable metals, they detect a permanent magnet through the aluminum wall of a cylinder. Operating on a patented function principle, our sensors detect permanent magnets of various field strengths reliably in all common cylinder types. They are completely wear-free and short-circuit protected and also available as a weld-proof version. We are offering Accelerometers Sensor. 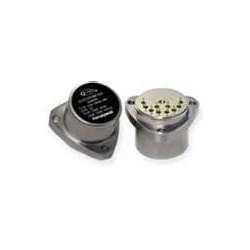 Honeywell Sensing and Control manufactures accelerometers offering a wide range of frequencies from dc to 6,000 Hz and full ranges of 5g to 2,000g. These units are designed to survive overloads up to 500 and are designed for operating temperatures from 38C (100F) to 260C (500F). We offer various sizes. We offer Inclinometer Sensor. By inclination is meant the relative angular tilt to the horizon or perpendicular. Any deviation from this home position (perpendicular) can be detected quickly and precisely with inclinometers made by the sensor specialist TURCK. Inclination sensors make use of the local gravity for the measurement of tilt angles. The MEMS technology (micro-electro-mechanic systems) on which the inclinometer is based, provides multiple application solutions for machines, robots, vehicles and airplanes, agricultural and construction machinery, transport devices or automatically adjustable furniture. We are offering Safety Technology. The degree of automation is very advanced in today's production engineering. At the same time, machine and system hazards have been reduced considerably. This is, in particular, owed to the high demands on the safety technology and the skilled handling of safety functions.